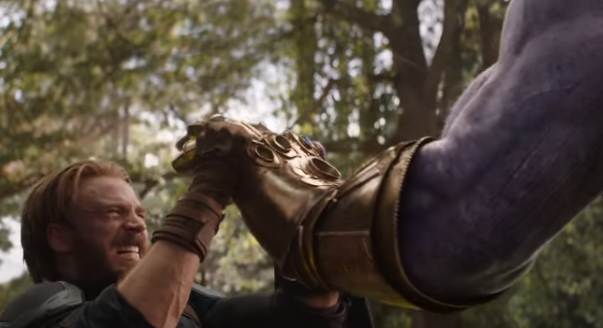 The latest trailer for 'Avengers: Infinity War' is the battle royale we've all been waiting for. New footage with more Thanos, and a lot more Wakanda. The fight to save the world is going to be epic. "The entire time I knew him, he had one goal, to wipe out half the universe," Gamora tells Tony Stark. The moment we've been waiting for a decade will finally be realized when Thanos makes landfall to take on Earth’s mightiest heroes. The new trailer is brimming with so many hair-raising scenes from Doctor Strange being tortured, to Iron Man's Hulkbuster being taken down by Thanos' Outriders, and of course the scene everyone is talking about, Cap holding back Thano's punch. It's chockful of exciting things to come and as always plenty of humor from Spidey and snark from Peter Quill.